The nose is very perfumed, showing cedar and blackcurrant, spice, and brambly dark berry fruits. The flavours of the palate mirror the nose, and combine with polished ripe tannins running through the wine. The wine finishes with lingering dark berry fruits and fine-grained tannins. The palate is very rich and dense, with considerable weight and power. A deep ruby colour & bouquet of ripe red and black berries, coffee grinds & chocolate leading to a palate of cherry and blackcurrant with a mouth filling, creamy texture fine tannins in a long finish that is seasoned with fine French oak. A medium bodied Cabernet Merlot showing fresh floral aromas with underlying cherry, mocha and spice. Red berries and cherry lead the palate with a hint of earthiness and fine grained tannins. An initial burst of dense, dark ripe berries with subtle plum characters carry through the palate, combining subtle toasted oak, powdery tannins and a long, rich fruit finish. 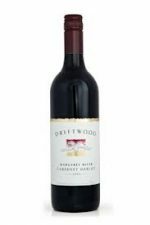 This classic Australian blend of Cabernet and Shiraz displays cassis, blueberry and cedary spice, showing a palate of plum and licorice. A versatile food style that works so well, due to its tannin and acid structure. A wine that has a varietal Cabernet bouquet and fruit structure complemented with rich dark chocolate flavours and fine tannins from ripe Merlot. Make the most out of today with this truly West Australian red wine. This classic blend is a well balanced wine with the flavour and length of Cabernet enhanced by soft, rich Merlot. 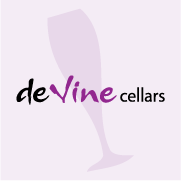 The medium bodied palate has jubey concentrated black brambly berry fruits with bright acidity and soft chalky tannins. The foods such as lamb, pasta, pizza and cheese will pair well with this wine. Nicely structured and well flavoured: plump and round with fine soft dusty tannins, fleshy flavours of dark berries and charry oak and a long sweetly fruity finish. A medium bodied red, fruit driven with soft tannins and a light spice. This red is ‘mooving’ so fast out the store you will have run in and grab yourself a dozen, at this super cheap price you would be ‘CRAZY’ not to! A richly textured wine with blackcurrant, liqueur cherry and hints of sweet vanilla. Savoury, dusty oak provides a depth and structure that finishes with chalky, dry tannins. A rich and supple red wine displaying flavours of cassis and mulberry with an underlying sweet oak spice. The palate is beautifully rounded with fine, powdery tannins.